Thursday April 4 & 11 at Ryerson Heights public School (33 dowden Ave, brantford) If you have questions about our league or would like to register in person or pay with cash please come see us from 10am-3pm at the access storage indoor facility. 101 Wayne Gretzky Parkway. Brantford Sports Council will be present with food, fun and prizes. REGISTRATION FOR SUMMER LEAGUES NOW OPEN!!! ALL players must register online…We accept Visa, MasterCard, Visa debit, and MasterCard debit. 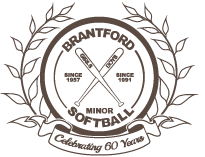 Just a reminder that games are only cancelled by BMSA when our permits for the diamonds are pulled by the city of Brantford. This is usually due to weather issues. If our permits are not pulled, BMSA is still responsible for payment to the city for the parks so the games will not be cancelled. Should games get cancelled you will be notified via email and a message will be posted on this page.